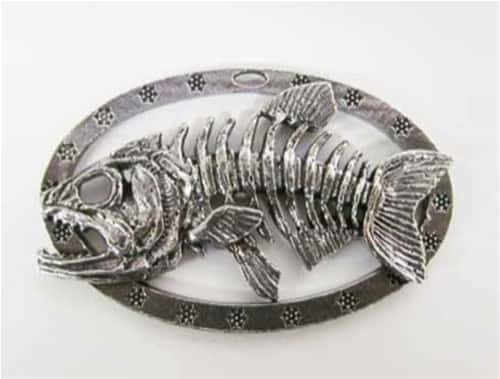 Pewter Premium Skeleton Fish - Oval Ornament. Each ornament is fine pewter and lead free. They are hand crafted and made in the USA, just in time for the holidays. Each one is a masterpiece of quality and fine detailing - the perfect gift for animal lovers and outdoor enthusiasts! Ornaments come with a red string for hanging and also a small gift bag and box. "Gone Fishing…Be Back by Christmas"